We’re getting academic and chatting about administrative law with Gavin MacKenzie, the former LSUC Treasurer and the repeatedly-named Toronto Lawyer of the Year! Topics: Trinity Western University appeals; standards of review at the Supreme Court; and precedents at tribunals. Gavin MacKenzie is the co-founder of Mackenzie Barristers in Toronto, Ontario. Gavin has been selected by American Lawyer Media and Martindale-Hubbell as a Top Rated Lawyer in Canada, and has also been recognized by the Lexpert/American Lawyer Guide to the Leading 500 Lawyers in Canada. He was honoured by induction as a Fellow of the American College of Trial Lawyers in 2000. Gavin’s litigation practice is focused on appeals, judicial review applications, class action defence, professional responsibility, liability and discipline, and general civil and commercial litigation, particularly in the health care sector. 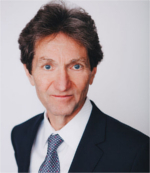 He has appeared as counsel in over 200 reported cases, before all levels of court including the Supreme Court of Canada and before many tribunals. Gavin is often retained as an expert witness on professional responsibility and litigation in the U.S. and Canada and is a frequent speaker at continuing education programmes. He has successfully completed the Harvard Mediation Workshop and is an experienced arbitrator and mediator. Gavin was elected as a Bencher of the Law Society of Upper Canada four times, and was elected as Treasurer, the highest position in the Society, on three occasions between 2006 and 2008. He has also served as a Director of the Advocates’ Society. Gavin is the author of Lawyers and Ethics: Professional Responsibility and Discipline, the 5th edition of which was published by Thomson Reuters (Carswell) in 2009, and many other publications. He has also served as an Adjunct Professor of Legal Ethics at Osgoode Hall Law School. In 2010, Gavin was awarded an honorary Doctor of Laws (LL.D.) degree from the Law Society of Upper Canada in recognition of his contributions to the legal profession.